Sold Please Archive For Sale is a flawless hand made brush by Scott Pavkovich. I am the original owner. 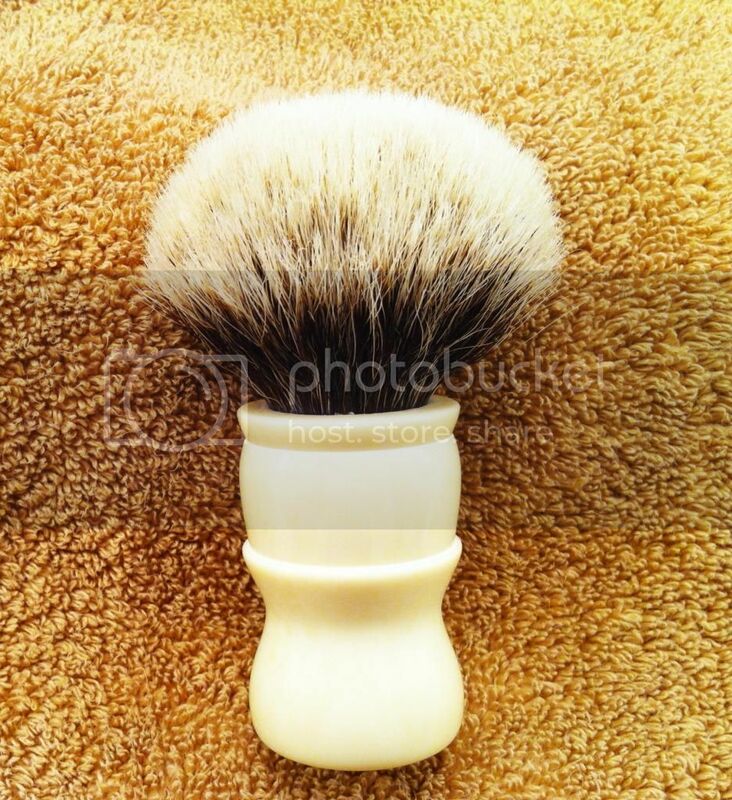 The handle is faux ivory and is 59mm in height. The knot is a TGN 2 Band 24mm diameter with a 52mm loft. The knot has not shed a hair and has soft tips with plenty of backbone. Flow through is excellent. I paid around $100 for this and will sell it for $65 including priority shipping to CONUS. I would trade for a Savile Row and could add cash as necessary. I would also trade for a mint condition NDC Super Speed.